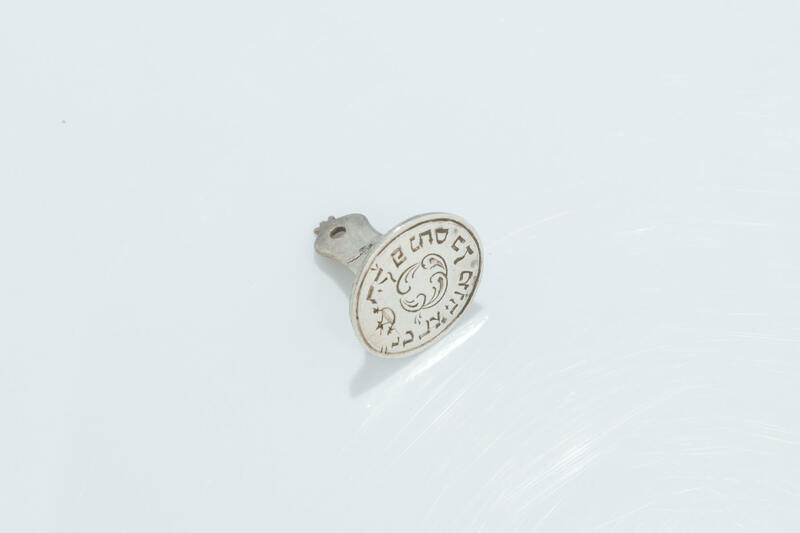 AN IMPORTANT SILVER SEAL OF RABBI PINCHAS SON OF GEDALIA. Possibly Sokolivka, c. 1880. Possibly belonging to Rabbi Pinchas Rabinowitz, son of Rabbi Gedalyahu Ahron, who was the Rebbe of Sokolivka in the Ukraine.